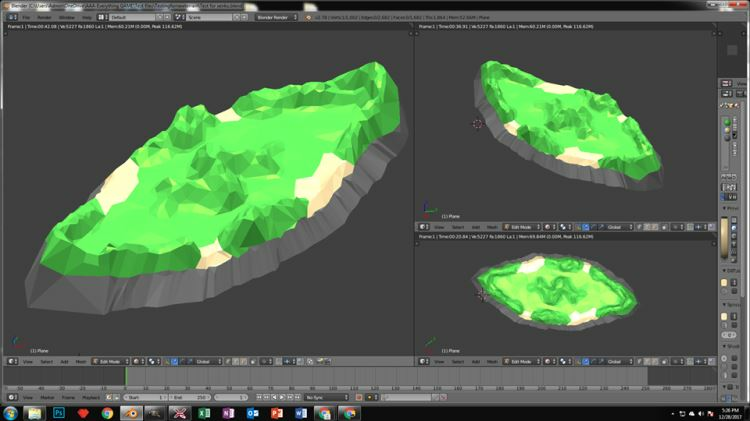 Low poly terrain for xenko. I transformed the original map created using L3dT and converted it into this. Took the hightmap created for terrain 1559 and imported it into blender. I normalized the noise and decimated the terrain until it was low poly but still looked good. Now there were allot of issues with the terrain i had to work out so i do not suggest using this method in the future. I spent a good two hours just realigning vertices but i think it turned out looking good. The textures are simple diffused material. I chose to not only use a base color but also a specular color because the aesthetic look of the two color choices really add variety and blend to the scene. Map size is 2048x2048 The map was designed with testing and 1v1 purpous in mind.